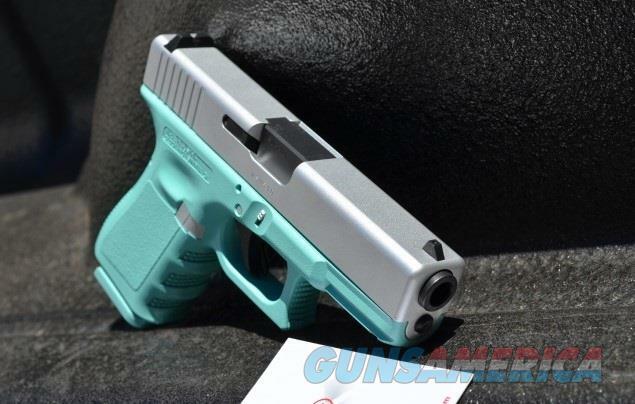 Description: New in box Glock 19 Gen 3 9mm. X-Werks coated frame & Base plates in T Blue with parts and slide coated in Satin Aluminum! This Glock comes with 2 15rnd magazines, loading tool, manual, and case. Want nights sights??!! Let us know and we'll install them before it ships! Price will vary depending on what model of night sights you'd like. Please allow 1-3 business days for item to ship. Long guns and accessories ship UPS Ground insured. Handguns are shipped USPS priority mail, insured, w/signature confirmation.